The fancy pitching pose of Lee Dong Wook who transformed into a baseball player is seizing the heart of women. The producer of KBS 2TV’s Wild Romance, GNG Production, has made public the stills of Lee Dong Wook who plays the role of Park Moo Yul in the drama. 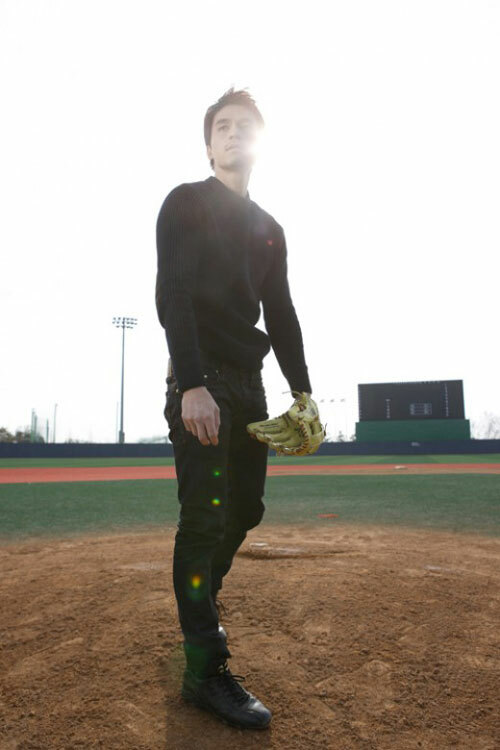 In the published photos, Lee Dong Wook is wearing a black knit shirt, with the whole body dressed in black, and wears a baseball glove to practice baseball. Lee Dong Wook who transformed into a baseball player with fashion sense and strength added a lot of viewing points to Wild Romance. Days ago, the stills of Lee Shi Young playing baseball have also been revealed. Although Lee Si Young is not a baseball player but a bodyguard and judo player in the drama, but the Lee Shi Young still get the chance to bat. In the released photos, Lee Si Young is wearing full baseball player suit readying in batter position, to take on the pitch.